Here’s how you impact your pay and get to $50,000 per year or more in nine months. First, we pay you a top starting mileage rate. Depending on where you live, you can earn between $0.35 all the way up to $0.50 a mile to start. Second, we offer automatic mileage rate increases while you are learning. Third, in the Your Choice Pay Plan - your performance means you can earn a pay increase each quarter up to our top rate. Your miles and pay are part of a regular discussion you will have with your fleet manager. We are committed to work with you to set and meet your earnings goals. Of course, we will assign you the work that gives you steady miles. And as you gain experience, you’ll gain stamina, efficiency and control. Stamina - when you first start out, you likely will not be able to drive as many miles in a day as an experienced pro. Over time, you’ll gain stamina and that will mean more miles. Efficiency - making the most of your available drive time each day means becoming an expert at navigation, getting in and out of a customer’s location and truck stops, completing paperwork (we make it easy with the MyRoehl smartphone app). As you learn, you’ll develop ways to get more out of each day. Choices - truck driving is both a career and a lifestyle; you decide when to start and end your day, when you are available to drive, how long you drive each day - and those choices impact how many miles you drive and how much you will make. Roehl offers a complete benefits package, including one of the top profit-sharing contributions among US trucking companies, to support drivers and their families. 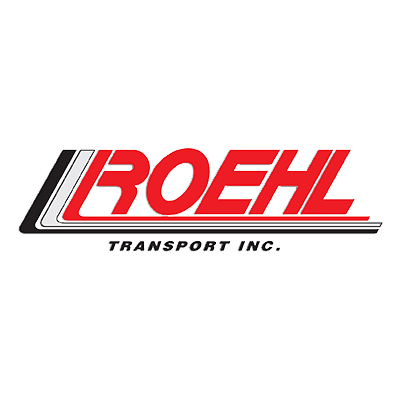 In a truck driving job with Roehl, you’ll find our benefits both comprehensive and affordable. Learn more about our benefits, from full health, dental, vision and the rest of the package, including our passenger program and pet passport program. You decide how long you drive. You can expect consistent, dependable schedules with up to 26 weeks off a year. Our HOMEtime Plus™ Fleets are second to none, maximizing earning potential according to your lifestyle. National Fleets. 11-14 days out and 3 days home. Stay out longer and go home for up to 7 days at a time. 7/7. Get up to 26 weeks off a year, driving 7 days out with 7 days at home. 7/4-7/3. Average 120 days off each year and get home every other week. Drive for 7 days with 4 days at home, followed by another 7 days with 3 days at home. 14/7. Get high miles and extended home time. Drive 14 days and enjoy 7 off. Regional/Dedicated Fleets. Regional fleets offer weekly home time. We also have some dedicated fleets that feature weekly home time. Local Fleets. Our local drivers are home every day. Many of our local truck driving jobs are based out of our terminals.